Pupusas are stuffed corn tortillas that are traditionally served with curtido. This delicious South American dish (popular in El Salvador and Honduras) is a simple to make meal that just might become a family favourite. Curtido is a fermented sauerkraut-esque condiment from El Salvador. It is traditionally served with pupusas; however, I’ve also seen it served on tacos at trendy Mexican restaurants. 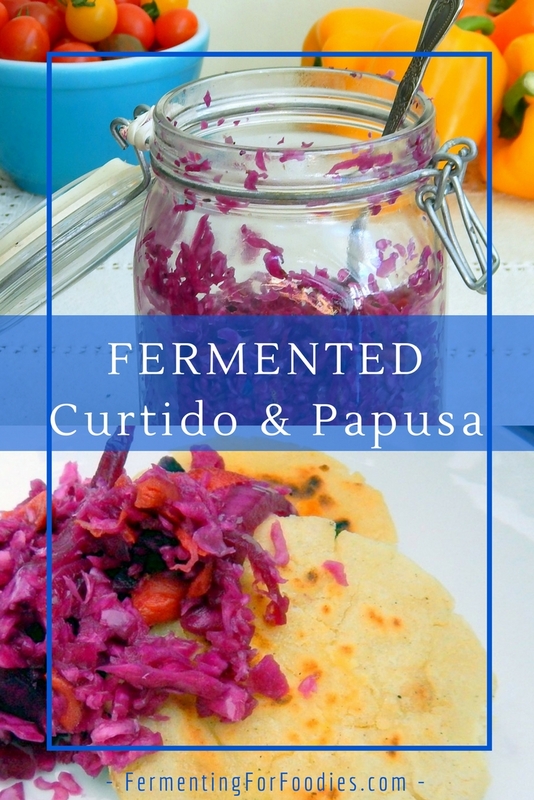 In addition to serving curtido with South American cuisine, I like fermented curtido on pretty much anything barbecued or in cheese sandwiches. 1-2 tsp pickling salt (to taste). Grate or finely chop the vegetables. Pack the mixture into jars for fermentation leaving at least 2" of head room. 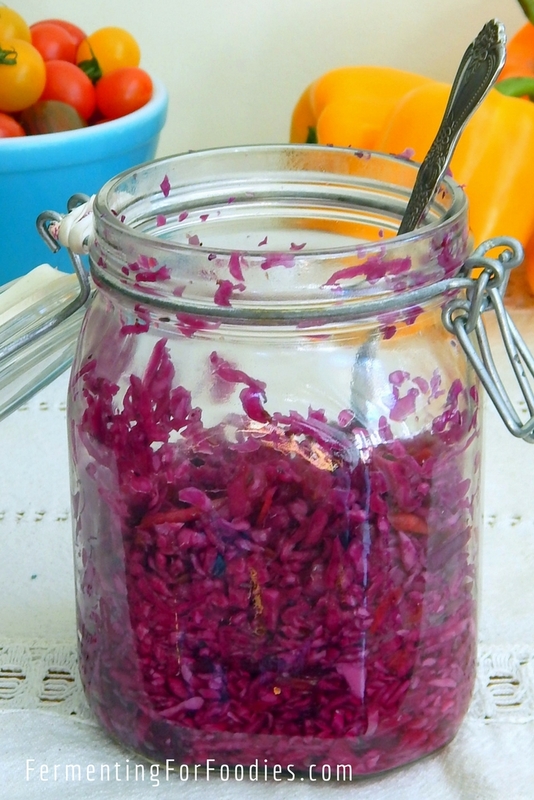 Use a spoon to really press all the cabbage into the jars so that there are no air bubbles. 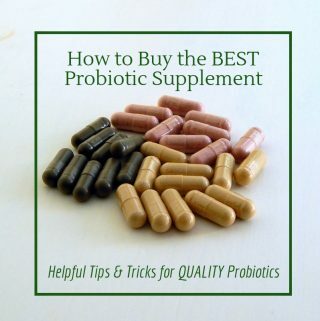 Place the jar in a bowl or on a tray somewhere at room temperature and out of the sun. After 4 hours, press it down again. The cabbage should have released enough moisture to completely submerge the vegetables. If it hasn't top it off with a bit of purified water. Make sure the cabbage is kept away from air (see notes for fermentation container options). The curtido will bubble for the first three days. It is usually eaten fresh, so it will be ready after 5 days. to keep the vegetables below the brine will work too. 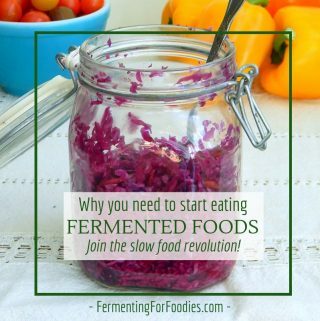 -If this is your first time fermenting, I recommend reading about the basic rules for fermentation. Pupusas are a fat corn tortilla that has been stuffed with refried beans, cheese, cooked vegetables or cooked ground pork. Though it is usually served with curtido, I also like eating pupusas with a variety of salsas and sauces. Mix masa flour with salt and water to form a stiff dough. If you like to pre-ferment your flour, replace ⅓ cup of water with a starter (see notes). Allow the dough to rest for at least 30 minutes. Divide dough into 12 balls. Fill the balls by turning them into a small bowl-like shape and putting in 1 tbsp of filling. Then seal the filling into the center of the ball and flatten into a disk. Fry on medium heat for about 3 minutes per side, until the masa is browning. 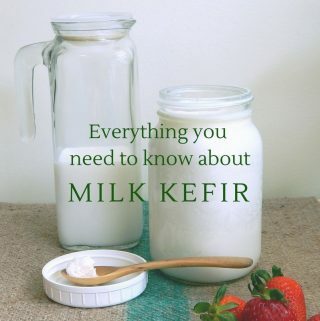 -To pre-ferment your masa flour replace 1/3 cup of water with a starter: kombucha, milk kefir, sauerkruat juice, yogurt, etc. -Fillings include: refried beans, white cheese, cilantro and/or fried ground pork. -Don’t worry too much if the stuffing leaks out. The pupusa will probably fry up just fine. My 9-year old regularly makes pupusas on his own, and he definitely isn’t a perfectionist when it comes to filling them. The curtido is an awesome recipe; goto for taco condiment to make Mexi night extra special. 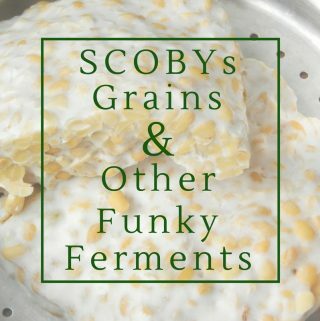 It has a great sourness that really complements refried beans and cheese. Thank you thank you!